Is being Federal Reserve chair like 'being God'? Is being Fed chair like 'being God'? Is the power of running the Federal Reserve an ego boost? The job of being chair of the U.S. Federal Reserve was once described as being "God on a good day." That was before the 2008 financial crisis and the Great Recession, but still, the Fed chair is the director of the world's largest economy. Stocks, bonds and exchange rates surge and fall based solely on the words that come out of the Fed chair's mouth. But the four people alive today who have actually held the position don't think it's anything like being a deity. "You can't exactly do what you want," former Fed chair Paul Volcker said Thursday at an event at International House in New York. "You have a board. You have a public. You've got [regional] reserve bank presidents." CNN's Fareed Zakaria moderated the discussion with former Fed chairs Volcker, Ben Bernanke, Alan Greenspan and current chair Janet Yellen. 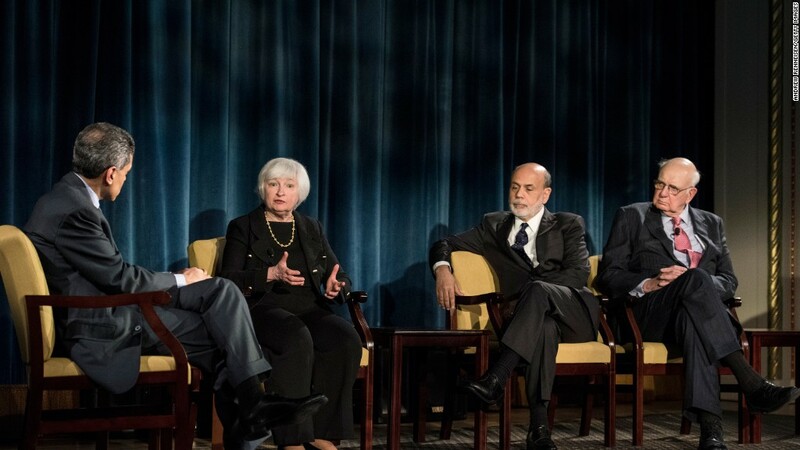 It was the first time all four living Fed chairs were interviewed at the same time. Major decisions on interest rates and other measures to boost or slow down the economy are all made by a committee. The chair only gets one vote. Volcker, who served as Fed chair from 1979 until 1987, is famous for tackling inflation. His committee did it by hiking interest rates to an all-time high of 20%. That raised American's mortgage rates, credit card rates and other borrowing costs and made Volcker a very unpopular man for a while. Instead of an ego boost, he often felt more like people "gave us some rope to hang ourselves." He suspects the carpet in the Fed chair's office still shows the wear from where he paced back and forth. Related: Has the Federal Reserve messed up? Ben Bernanke was chair from 2006 to 2014 -- right in the middle of the financial crisis and major recession. He called the Fed a "wonderful institution," not a one-man show. "I didn't take the job for adulation," he told Zakaria. "We had tremendous responsibilities to try to address these terrible risks." The Fed chair who got the closest to rock star status was Greenspan. He led the Fed from 1987 to 2006, a mostly boom time. Bob Woodward called his 2000 book about him "Maestro." Greenspan joked that all his celebrity status "embarrassed him," but he "got past the embarrassment very easily." The aura of Greenspan has taken a hit since the Great Recession. Now some blame him for helping cause the housing crisis and overheated market. He told Zakaria that the hardest part of the job for all Fed chairs is that you can only forecast so far into the future, yet people seem to think you have some sort of psychic ability. Current Fed chair Yellen feels that pressure acutely. 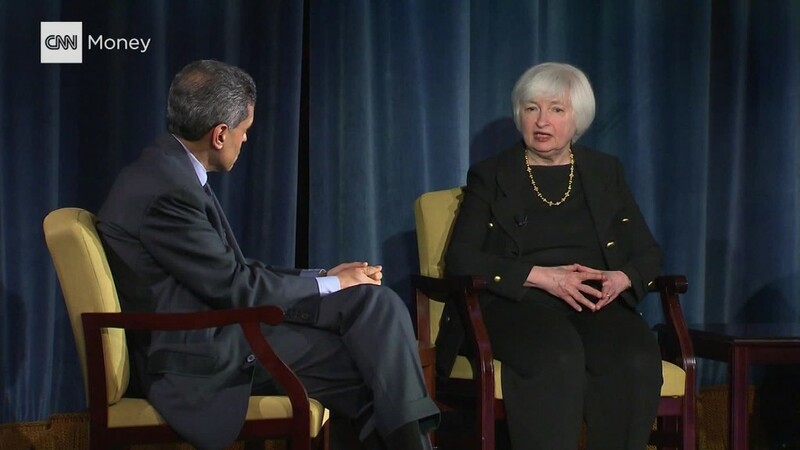 Zakaria pressed her: Did she regret raising interest rates in December for the first time in years? "I don't think December was a mistake," Yellen said. "We think a gradual path of rate increases will be appropriate."